I love my iPhone for many reasons. I love that Facebook, Twitter and email are just a button click away from me no matter where I am. I also love preschool geared apps that will keep Dexter occupied for minutes or hours on end. He is a huge fan of Talking Tom Cat and Read to Me Stories. 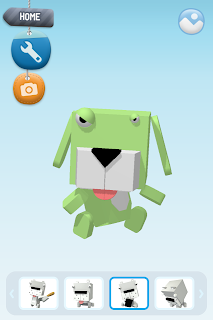 I just downloaded and created my first Cube Dog and I have to say, he is a good time. The ease of use of this app is great. 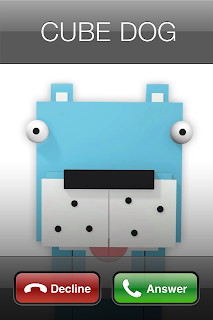 I created this little guy in about a minute thanks to the easy-to-follow tutorial. 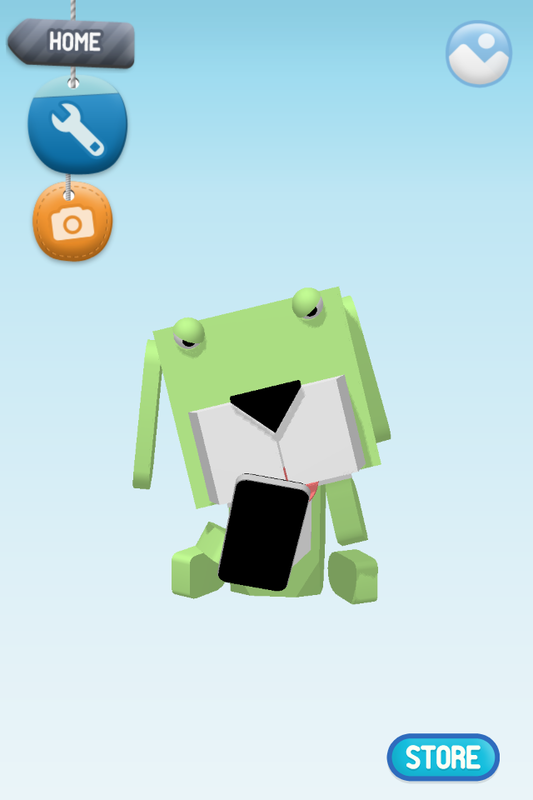 I colored him lime green because its my favorite color and I named him Cubie *think Cube, not Cub* With the click of a button you can make Cubie do a variety of "tricks" My favorite one, because it reminds me of myself, has Cubie playing on his iPhone! How cute! What else do I really like about this FREE app? 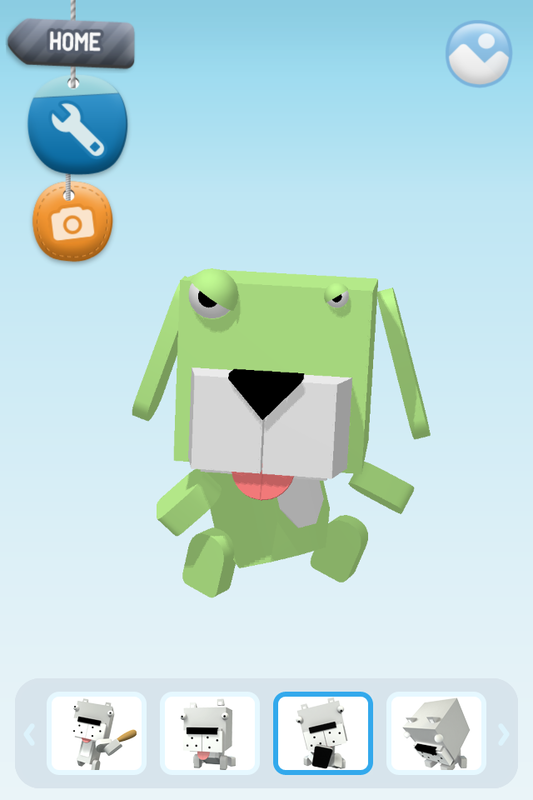 You can choose your dog's body style, color, eyes, ears and name. The app is free *which, who doesn't like free? * This app is compatible with the iPhone and iPod Touch 4 (with camera). What does Dexter think of it? Well it definitely did what I wanted it to do. It kept him occupied, quietly, for over 10 minutes! Thats a plus in my book. Think about it....you're sitting in the doctor's office, waiting to see the doctor, and you need your child to behave. 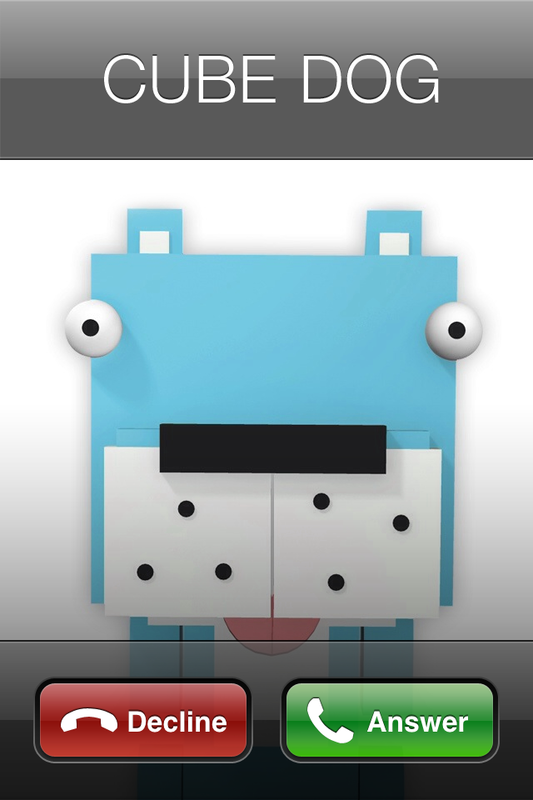 Give them your iPhone and let them make their own Cube Dog. Trust me, they will be occupied and you will be happy. Another reason to love your little Cubie, well they're also on Facebook and you should keep your eyes out for an awesome contest that will be there from June 13-17th.